Home /Memphis Social/VICE LORDS Gang Chief KILLED In Memphis, Sparking FEARS Of VIOLENCE! MEMPHIS, Tenn. — A man found dead in a car near the Memphis airport last week was a former Vice Lords gang chief who exposed the organization in a trial, prosecutors said. Ronald Terry, known as “Big Pokey” or by other nicknames, was found shot to death Jan. 10 inside a white Cadillac that plowed through a fence at Dwight and Imogene. A woman, identified as Candid Sanders, was also found dead in the car, police said. A prosecutor with the Shelby County District Attorney’s Office confirmed Terry was a high-level member of the Vice Lords gang. The same day Terry was found dead, two inmate fights broke out at South Central Correctional Facility in Clifton, Tennessee, a representative with Core Civic said. Six inmates and four correctional officers were injured. The facility remained on lockdown status Thursday while the TDOC Office of Investigations and Compliance continues to investigate the incident, the company said. Prisons across the state went on temporary lockdown last week “out of an abundance of caution for the safety and security of the department’s inmates, staff & facilities,” the Tennessee Department of Corrections said. The state did not say whether the measures were specifically related to Terry’s death. The facilities returned to normal operations after TDOC reviewed intelligence and evaluated security at each facility. Only one state facility, Morgan County Correctional Complex, is still on partial lockdown, the department said. Rumors spread across social media and some news outlets that the Vice Lords threatened to put out a “hit” on law enforcement officers. However, TDOC said that information is not correct. “TDOC is unaware of any specific and/or credible threats to law enforcement or corrections personnel,” the department’s communications director Neysa Taylor said in a statement. The Tennessee Bureau of Investigation said the agency had advised law enforcement to be aware of safety. A TBI spokesman, however, said there was “no specific threat” against law enforcement. According to the state, Terry was sentenced to prison July 28, 2005. He was moved to Florida in 2015 and released Sept. 9, 2016. More info on VICE LORDS Gang Chief KILLED In Memphis, Sparking FEARS Of VIOLENCE! Vice Lords gang chief killed in Memphis, sparking fears of violence statewide The former local kingpin of the nationwide Vice Lords street gang was executed while he sat in a white Cadillac in Memphis last week, sparking fears among law enforcement officials that violence could break out across Tennessee and inside the state’s prisons. 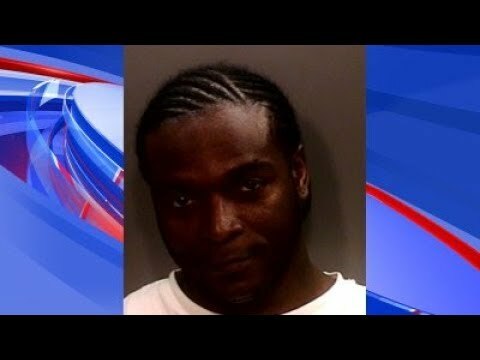 VICE LORDS Gang Chief KILLED In Memphis, Sparking FEARS Of VIOLENCE! MEMPHIS, Tenn. — A man found dead in a car near the Memphis airport last week was a former Vice Lords gang chief who exposed the organization in a trial, prosecutors said. Vice Lords gang chief killed in Memphis, sparking fears of violence statewide Ronald Terry, known as “Big Pokey” or “Porky,” was killed while sitting in the front seat of a white Cadillac in Memphis. Vice Lords gang chief killed in Memphis, sparking fears of violence statewide Vice Lords gang chieftain assassinated in Memphis The former local kingpin of the nationwide Vice Lords street gang was executed while he sat in a white Cadillac in Memphis last week, sparking fears among law enforcement officials that violence could break out across Tennessee and inside the state’s prisons.